A jury awarded Marvin Gaye's children nearly $7.4 million Tuesday after determining singers Robin Thicke and Pharrell Williams copied their father's music to create "Blurred Lines," the biggest hit song of 2013. 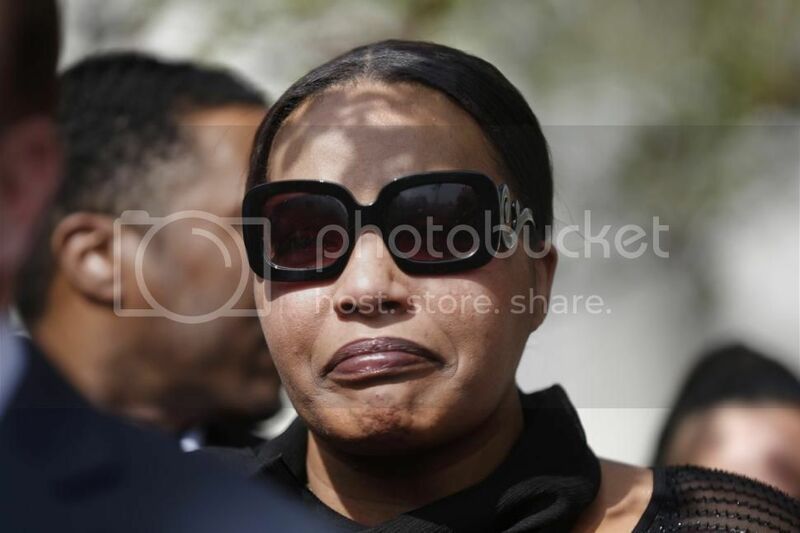 Nona Gaye wept as the verdict was read and was hugged by her attorney. Right now I feel free. Honestly free from Pharrell Williams' and Robin Thicke's chains, and what they tried to keep on us and the lies that were told. I'm really just happy, and I'm so filled with emotion right now that it's hard to get the words out, but this is a miracle. She was clearly emotional, and offered an explanation. We don't [sic] get to lay him to rest like most people do, so it's always raw. And when people do that—what was done to us, or tried to be done [sic] to us but wasn't successful—yes, of course, I'm going to have a reaction like that. Especially after all of the incredible work that was done by Richard and the team. It was incredibly emotional. Especially because there were jurors there that didn't have to swing our way. They didn't have to, but I'm so thankful that they didn't allow their stardom [Thicke and Williams] to affect their judgment.